Habanero peppers are hot, make no mistake. They’ll kick you around. But a Carolina Reaper? It’s like a solar flare erupted in your esophagus. Yes, there’s a humongous heat difference here, but is there more to compare? How different do they taste? Does the heat act similarly? What about products in the marketplace? We dive in with another PepperScale Showdown. Let’s start with the numbers, they tell the tale of the heat difference simply enough. A habanero pepper ranges from 100,000 to 350,000 Scoville heat units. That’s significant spiciness. It can be up to 140 times hotter than a jalapeño, placing it on the upper-middle end of the pepper scale. And then there’s the Reaper. This pepper is, as of 2014, the hottest pepper in the world, and it’s so far gone in terms of spiciness a rumble between these two would be silly. It’s like the Reaper is carrying a bazooka to the habanero’s knife fight. It stymies any competition with 1,400,000 to 2,200,000 Scoville heat units. That’s up to 22 times hotter than a habanero. Let’s put this another way: The Carolina Reaper is closer in heat to military grade pepper spray than to the still incredibly hot habanero. Needless to say, wear gloves, a mask, and protective eye gear if you ever chance on handling these peppers raw. Chili burn is bad enough at jalapeño strength – at Carolina Reaper strength it’ll have you rolling on the floor. Just watch any Carolina Reaper hot pepper challenge for the proof. The habanero is rounded, slightly puckered, but relatively smooth. It looks like a pepper you want to eat. The Carolina Reaper is round-ish, gnarled, and twisted. It sports a stinger-like tail similar to the Trinidad Moruga Scorpion. This is a chili that Satan would serve at a dinner party. It screams danger. The Carolina Reaper has been bred by PuckerButt Pepper Company to be the super-hot with super-flavor. It’s sweeter than you expect, and since the burn comes on slow, you do get to taste the Reaper before heat becomes the overwhelming factor. And it feels like it lasts a lifetime. For that reason, the habanero is the taste king in this matchup. It has sweet undertones as well. Not as sweet as its Scotch bonnet cousin, but still extremely popular to mix with tropical fruits. In fact, spicy food is becoming more and more popular, and the habanero – which was once considered too hot for most everyone – is now a staple in gourmet stores and specialty shops. For both chilies, their sweet peppery flavor plays really well with hot sauces. There, the Carolina Reaper – in a diluted, yet still hellishly hot form – has taken on cult-food status. You can find some crazy collectible Carolina Reaper hot sauces in specialty stores and online. Habanero hot sauces are so popular that they’re now customary on most supermarket shelves. It’s a pepper that’s come a long way in terms of product availability and culinary popularity. The habanero, yes. As mentioned, gourmet supermarkets like Fresh Foods carry the habanero, as well as supermarkets in more Latin American influenced regions. The Carolina Reaper, on the other hand, will likely never find aisle space next to those bell peppers. They are just too wickedly, intensely, and insanely hot. 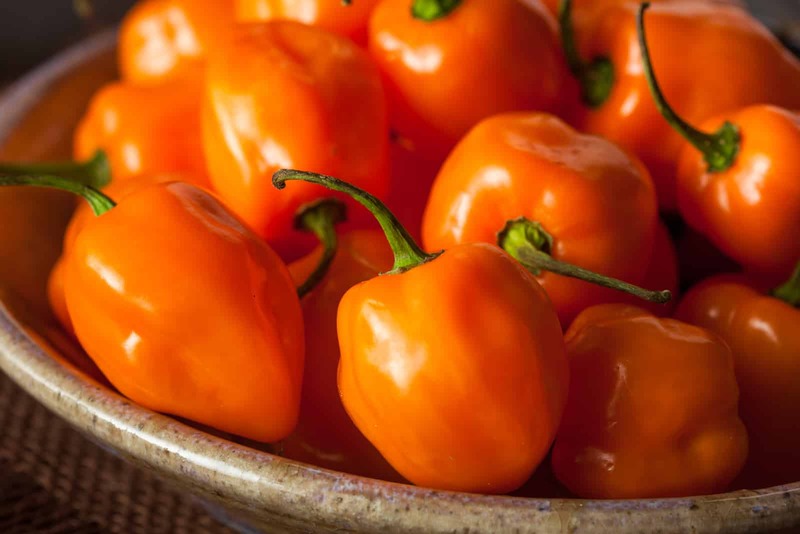 Habanero peppers, again, are making their way up in pepper scale popularity. There are tons of habanero hot sauces, powders, and pepper jellies on the market. It’s a chili that’s caught on with fast food joints (McDonald’s habanero burger) and candy makers too. 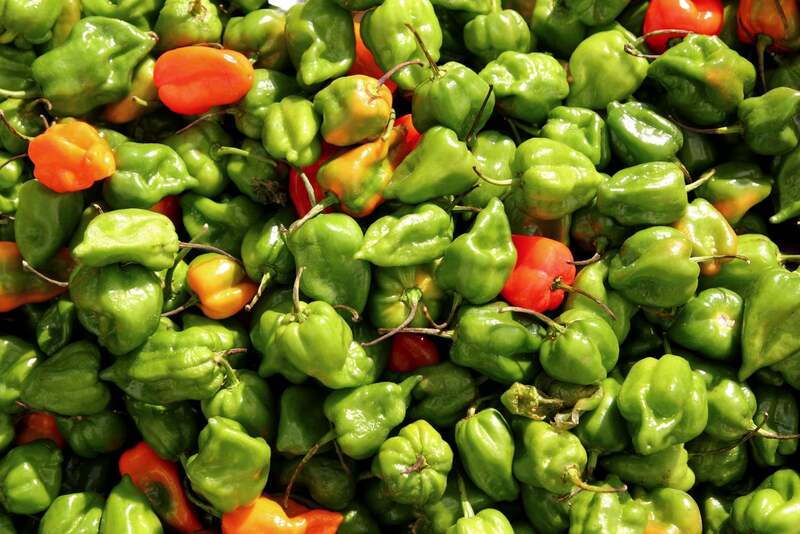 Habanero is really the new top-shelf heat that has mainstream appeal. The Carolina Reaper is nowhere near as popular, but what it lacks in shelf space it makes up for in crazy extreme branding. There are some excellent Carolina Reaper hot sauce names and labels available online. Plus, you’ll find Carolina Reaper powders and pepper flakes too. Hit PuckerButt Pepper Company’s website too to see their store. 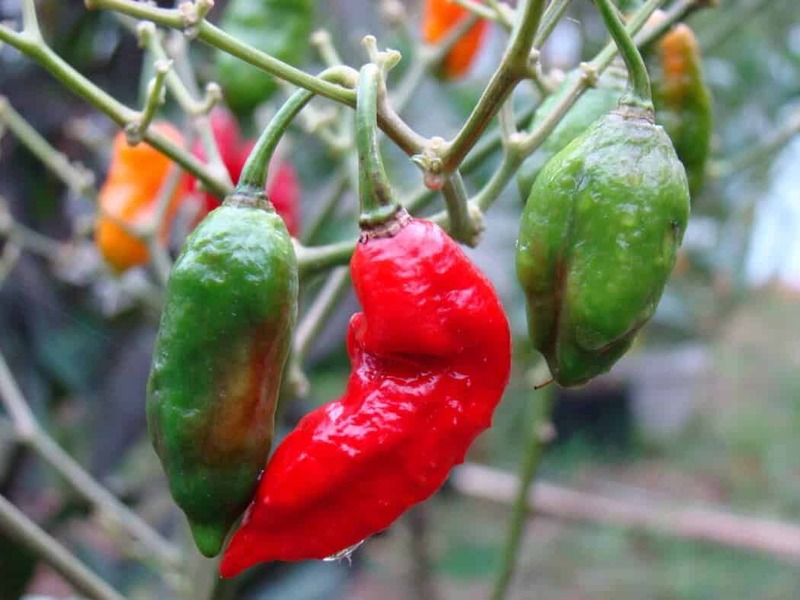 You won’t go swapping the habanero for a Carolina Reaper in a dish any time soon. They come from two different worlds. Both hot, just one much, much closer to the sun. 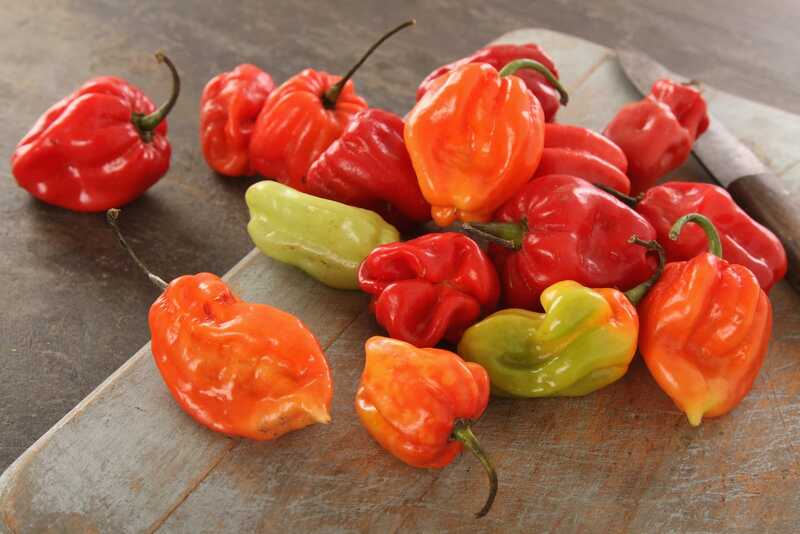 If you’re a fan of big heat, try ramping up to the habanero. It’s one of the best for heat to taste ratio. If you dance with the Reaper, proceed with caution. Its location on the pepper scale should give you warning enough.